The Bulldog appearance of horrible, however it is good, kind loyal dog. The original bull breeds were a fightng dogs. 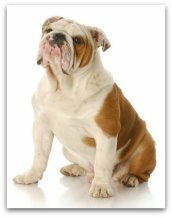 After several generations of selective breeding, the English Bulldog become the most strong physical among all the dog ! And make it down to a minimum the original wild, this is what we know today bulldog, a reason to be proud of this dog breeds. 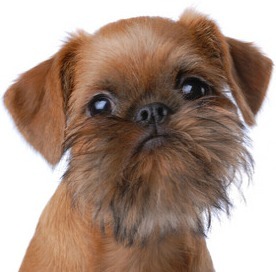 The breed was registered with the AKC in 1934. Their coat is short, falt, glossy and fine texture. The breed is short and stout, but they is a sturdy build. The coat color are balance, pure and shinning, it can be red, fawn, piebald, white, and fallow, various colors of brindle. The English Bulldog are strong but is a gentle dog, easy going, kind, couragoues and affectionate dog. They loves to spend their time with his master and master family, they is a wonderful pet. They are affectionate with children and good with other pets too. Early training is important, early socialization and basic obedience must done start from young age. Because this breed is a gentle and turdy temperament, so these dog will seldom get in trouble in training. The training should done with fairness, owner should be patience on these breed while training. Bulldog should always take it the sun, hot weather, can be carried out in the early morning and late afternoon sun bath. Their face, limbs, skin fold easily lead to skin moist, need to be cleaned daily to avoid skin problems. If the eye has been formed under the wet tears and need to clean it often too. Their coat should brushed couple of times each week with a soft bristle brush. After the bath, must keep dry the wet area. They is pretty odd shape, walking is very gentlemanly, calm personality, friendly, kind, trustworthy. The breed is friendly with children and good with other pets too. They is an excellent guard dog capability, suitable for the environment more spacious backyard. They have a quirky sense of humor.